Anthony “Lionheart” Smith is happy the UFC’s troubled light heavyweight son, Jon Jones, is returning from exile- even though on the face of it, it seems unfair he is rewarded with a title shot immediately. The objection in regard to Daniel Cormier is one other fighters have made- that he has no intention of making the very tough weight cut to 205 again when he has the heavyweight title. DC himself hasn’t admitted that- he says if he loses his heavyweight title at UFC 230 to Derrick Lewis, he might just come back and upset the planned UFC 232 matchup between Jones and Alexander Gustafsson. Smith doesn’t think DC has any intention of doing that, and is just glad the situation will be resolved one way or the other, for the sake of himself and the rest of the light heavyweight contenders. “I understand,” Smith said. “He’s the double champ, and he wanted to hold onto that as long as he could, and I couldn’t say that I would’ve done any different. I’m just glad that it’s moving again. I just hope that Jon doesn’t beat Gustafsson and then hold the division up again. 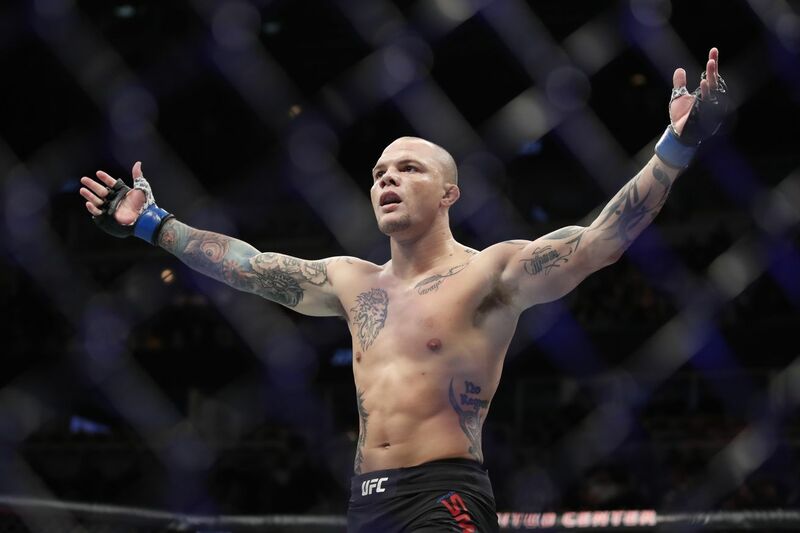 Anthony Smith faces Volkan Oezdemir tomorrow night in the main event of UFC Moncton tomorrow night. MMAmania.com will deliver LIVE round-by-round, blow-by-blow coverage of the entire UFC Fight Night 138 fight card on fight night (click here), starting with the Fight Pass “Prelims” undercard bout at 6:30 p.m. ET, followed by the FOX Sports 1 “Prelims” undercard bouts at 8 p.m. ET, before the main card start time at 10 p.m. ET, also on FOX Sports 1. I’m told @RusHammerMMA went up to Johnson afterwards and said he will make sure MJ gets the full 20% back bc he is appreciative of the fact that MJ took the fight on short notice. The rules are Lobov has to take the money but he gave Johnson his word he’ll get it back to him. Jiu Jitsu and Weed mix very well, as the Diaz brothers could tell you. Ben Askren kept up his trash talk today on Twitter. The trade, Askren for Demetrious Johnson, seems like a positive event in and of itself, but it might be less of a positive development for the fighters going forward. Making him work between his rounds lol. No rest for you. ‍♀️ I know y’all think I just post selfies all day. But this is really what I do all day lmao #clownin it ain’t always prettttyyyyy. How… how do you not know Floyd Mayweather’s name as an expert in anything related to combat sports? The T-rex dance from Marcelo Rojo! George Foreman and Ron Lyle was a heavyweight fight I hadn’t known about until today. What a slugfest! I missed Aaron Pico in slow motion. After beating Leandro Higo, I can’t wait to see him against the elite in Bellator and perhaps eventually the UFC. Knockout artist Aaron Pico faces the toughest test of his career TONIGHT, Sept. 29th, when he takes on 18-4 Leandro Higo at #Bellator206 on DAZN. Its been some day for Florida. First the MAGA bomber, now this. Smith had attempted to call out Alexander Gustafsson after making quick work of Shogun, but as it turned out, Gustafsson had suffered some minor injuries and was no longer fighting at UFC 227. Smith is completely right about Cormier’s future at light heavyweight. Gustafsson has speculated that Cormier is never cutting to 205 lbs. again, and frankly it makes no sense to jeopardize what surely would be his biggest payday ever for the lesser-known contenders at light heavyweight. Cormier will no doubt attempt to hold onto both belts for as long as he can, but it isn’t fair to the contenders- including the “entitled” Alexander Gustafsson- to hold up the belt while waiting for Lesnar to make it through six months of drug testing. Nick Newell is here to be an inspiration, but not just because he’s got one hand. He fights tomorrow night on the Tuesday Night Contender Series. Mike Perry wonders why anyone would risk their lives for an obscure sport. I would watch Alex Volkanovski vs. Chad Mendes in a heartbeat. This deeply disturbs me for whatever reason. Sage Northcutt should not have reposted this cursed image. Eddie Alvarez’s response to what he was thinking when he landed those illegal knees: he wasn’t thinking. It was just a moment of pure instinct. When I was this age I played soccer, and there was a black girl built like a miniature tank and she also ran me over just like this. All that to say, I empathize very much with the kids getting ran over. Oddball strongman Bud Jeffries trains to be Thor and I’m very entertained by it. I feel for Marc Diakese, who showed improvement yet still got wrecked for a third consecutive loss by Nasrat Haqparast, whose name is extremely fun to say. Who did this to Mark Hunt? It’s perfect. Don’t mess with this guy. He will end you. I just assume a large number of you can relate to Brazilian Jiu-Jitsu memes, and the resigned terror of rolling with a black belt. Daniel Cormier using his best Dad voice to scold Alexander Gustafsson. I wonder how different the world would be now if Gustafsson had taken that split decision in Houston in 2015. Suga Sean O’Malley smoking a joint while hitting pads is extremely on-brand for him. You can see the strong MMA influence in this street fight. The sport has changed the world forever. I can appreciate this approach, and the joke. In the dudevorce of the week, Floyd Mayweather is tearing his old pal 50 Cent apart. It seems doubtful based on this screed that 50 Cent really got a million dollars from Bellator for his phrase, “Get the Strap”. It is good to see Brian Ortega did finally receive some compensation (though he doesn’t specify what) for his expenses prior to his cancelled bout with Max Holloway at UFC 226. I can’t wait for The Korean Zombie, Chan Sung Jung, to return against the Answer, Frankie Edgar. Invicta allows fighters to express their creativity in ways the UFC can’t because they made the disastrous Reebok deal. The delayed collapse KO is a classic subspecies of knockout I find particularly pleasing, aesthetically. Remember when Erik Silva was the Next Big Thing at welterweight? Good to know he’s still out there getting dropped and then snatching armbars. This shouldn’t be illegal in a grappling competition, but that’s just my two cents. I got a strong feeling of deja vu watching this, which means I’ve been compiling KO highlights for too long. This seems safe and not at all dangerous. I love this old picture posted by Disney imagineer Joe Rohde, and his explanation of the unpredictability of the future. This is a futuristic image. It was created for the magazine Judge sometime around 1900. Interestingly the marquee at the stairs says,”Stores, factories, houses, rooms, advertising space in this building. Other signs say meat market, hotel, and museum. This was done with a sense of ironic humor…to seem absurd. But in fact, modern cities have many buildings just like that. The person who drew this cartoon could intuit that urban real estate pressure would create multipurpose skyscrapers. He couldn’t intuit that a style of architecture would emerge that rejected historical building forms entirely. Oddly enough this cartoon accurately predicts a building that could be rising in Shanghai today, but looks to us like an image totally stuck in the nineteenth century. We can often logically guess at the future…but only in fragments. It’s very hard to predict the weird sideways slides. Everything is in those. Those who predict a great big beautiful tomorrow and those who forecast doom and gloom both do so using logic. But the future is beyond logic. That’s where the danger lies, and the hope. I have a personal project I’ve been working on for the better part of a year in between writing Midnight Mania for you, and my day job. It is live on Kickstarter starting today- it has nothing to do with combat sports, but feel free to consider sharing and pledging if it’s something you’re into. Here’s me explaining what its about- you can learn more at SwitchKick.org. 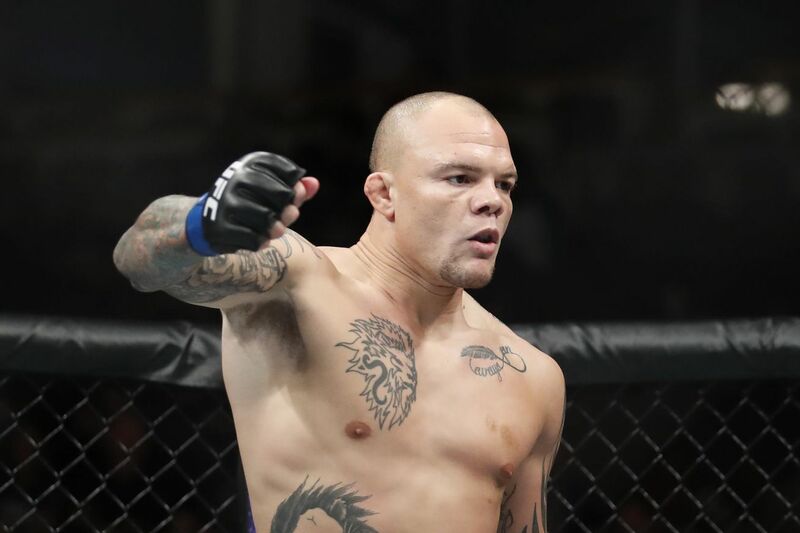 Anthony Smith really wants to compete at UFC Fight Night 135 on Aug. 25 in front of a home crowd in Lincoln, Nebraska, and it’s starting to show. According to a recent report by ESPN, Smith, who is coming off a first-round knockout win over former UFC champion Rashad Evans at UFC 225 earlier this month, is willing to step up and fight at heavyweight to secure his position on the UFC Lincoln card. “Lionheart” has only competed at 185 and 205 pounds throughout his 10-year professional fighting career, but that wouldn’t stop Smith from packing on some muscle and taking his talents to the land if big men. While fighters always try to compete close to home or near a city they’ve grown to love, things don’t always work out. But considering UFC hasn’t hosted an event in Nebraska since Jake Ellenberger and Diego Sanchez locked horns in 2012, Smith feels a sense of urgency to get this done before it’s too late. Having fought at middleweight as recently as February, it’s conceivable that Smith would fight anyone from 185-265 pounds in effort to get on the UFC Lincoln card. Considering that event is roughly two months away and currently only has eight fights scheduled, it’s highly likely that the promotion finds a way to get “Lionheart” want he wants. Only time will tell if Smith’s willingness to move up in weight pays off. For complete UFC Lincoln fight card news click here. Shout out to Josh Neer! 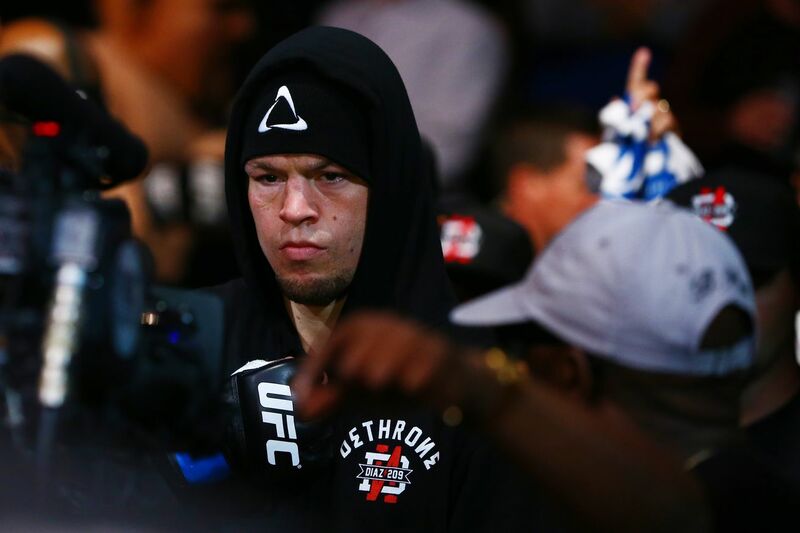 Thanks to his second-round submission win over Conor McGregor at the UFC 196 pay-per-view (PPV) event earlier this year in Las Vegas, Nevada, Nate Diaz has assumed top billing for their welterweight rematch at UFC 202, recently announced for Aug. 20, 2016 in Las Vegas, Nevada (more on that here). Especially when he can talk about pimping out his ride and the legendary Jean-Claude Van Damme, as well as his disdain for training camps. And like most young folks, finding out that $ 16,000 does not make you rich can be very, very depressing. He’ll make a lot more than that for UFC 202. The duet were originally expected to headline UFC 200; however, McGregor threw a monkey wrench into those plans. Jon Jones took over as event headliner; albeit temporarily, before joining Brock Lesnar in the not-so-distinguished USADA club. To see who else is fighting at UFC 202 click here.